A classic Fiat 500, possibly visiting Kelham Island. Some may have previewed this already, but no apologies, you can never have too many 500’s !! 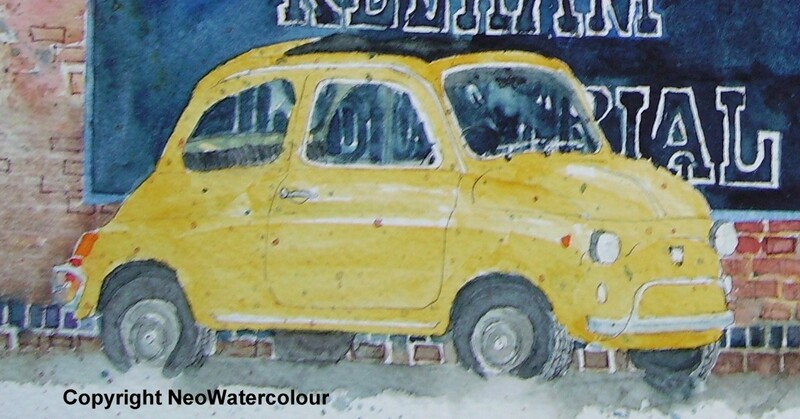 This entry was posted in Fiat 500 's - watercolours, Sheffield - watercolours and tagged Classic, Fiat 500, Kelham Island, retro, Sheffield, yellow Fiat 500. Bookmark the permalink.